At last night’s City Council meeting, City Manager Mark Rohr proposed that the Union Depot be renovated to be used as a new home for the Joplin Museum Complex. As covered by the Joplin Globe, Rohr believes that existing sources of funding exist and as a result, no new taxes would be required for the project. The Joplin Union Depot not long after it was opened. A great future home for the Joplin Museum Complex. We, here at Historic Joplin, strongly support this proposal. We hope that it becomes reality and that someday in the near future, we can walk in and enjoy a beautifully restored depot. Even though the Carnegie Library appears not to have been part of the new plan, we hope it too has a bright future. 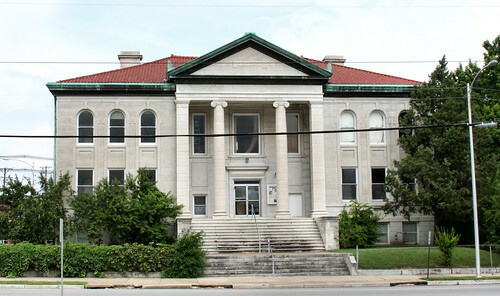 The Joplin Carnegie Library as it appears in 2010. Got Any Photos of the Union Depot?